Single-ply roofing is made of a single layer membrane with seams that are heat-welded for a maintainable, reliable roof. 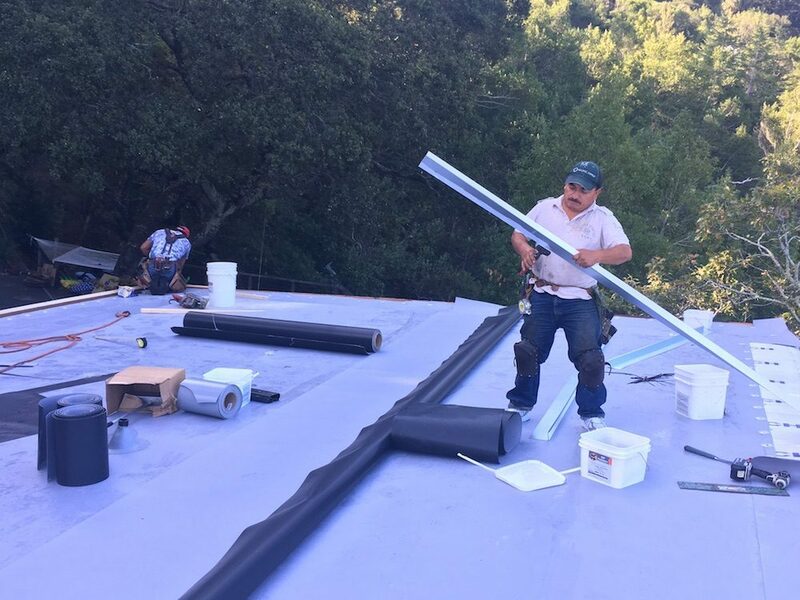 While roofing created from multiple layers of materials will ultimately fail and begin to leak toward the end of its lifecycle, single-ply roofing is leak-proof from beginning to end. These roofs have the additional benefit of reflecting UV rays and keeping buildings cooler, saving you money on air conditioning and keeping your home or business in line with local codes. Single-ply roofing used to be solely used for commercial buildings, but residential homeowners have recently started to realize its benefits. We can help you decide if single-ply is the best choice for your home or business. Single-ply roofing can be a good choice for both commercial and residential structures.